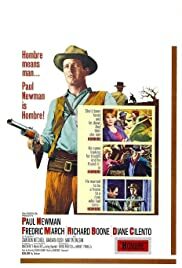 Hombre means MAN... Paul Newman is HOMBRE! Jessie: [noticing Braden with Grimes' gang] Frank, what are you doin'? Q: WHY WAS FRANK SILVEIRA,THE VAQUERO,NOT GIVEN HIGH BILLING? This was a great production, with a fantastic cast, unforgettable script and an excellent director and cinematographer. My hat goes off to Paul Newman for taking a role that goes against his normally expected "cutesy" performances and portraying a character we all wish we could be more like. I will also applaud the performances of Diane Cilento, Frederick March, and Richard Boone. You all "can cut it". When "Hombre" was released, it received mixed reviews especially in the foreign markets. I really have a hard time believing this considering it's competition. 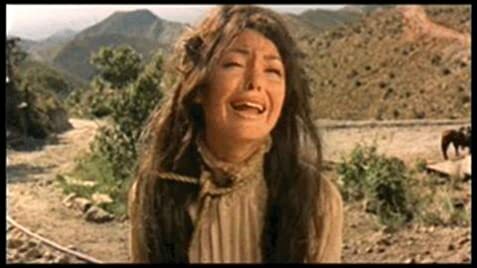 I love a good western and I have always had a problem with foreign made "spahgetti westerns" and never understood the popularity of "Fistful of Dollars" or "The Good, Bad and the Ugly". Not taking anything away from Clint Eastwood (because his presence was the only thing that saved those films), but there was no credible dialog or memorable cliché's to ever make me want to watch them more than once. In my mind this has to be one of the top five westerns ever made and ranks up there with "High Noon" or "Stagecoach". It always amazes me that people can criticize the performance of Paul Newman. I have a hard time envisioning anyone else that could have delivered as good a performance. (Possibly Gary Cooper} Newman has made many great films and just because he is so handsome, we have a hard time relating to him as the cold, unpretentious, supporter of the weak as was John Russell.